Lennox clearly wants that we buy this in print. 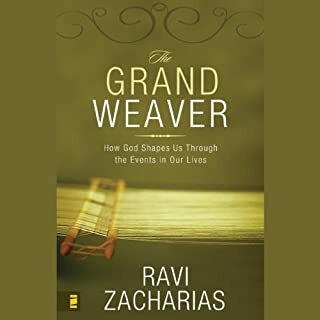 If we are to believe many modern commentators, science has squeezed God into a corner, killed and then buried him with its all-embracing explanations. 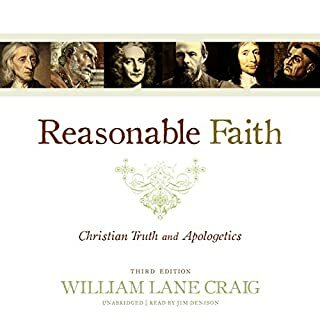 Atheism, we are told, is the only intellectually tenable position, and any attempt to reintroduce God is likely to impede the progress of science. 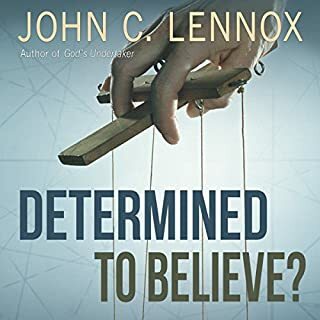 In this stimulating and thought-provoking audiobook, John Lennox invites us to consider such claims very carefully. 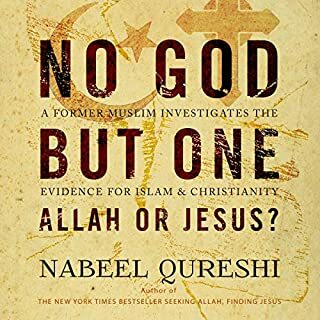 Is it really true, he asks, that everything in science points towards atheism? Could it be possible that theism sits more comfortably with science than atheism? Has science buried God or not? 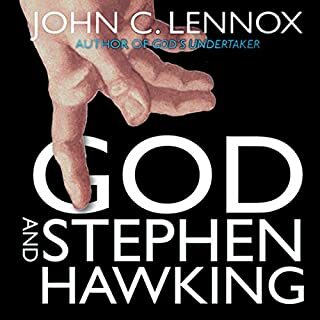 Now updated and expanded, God's Undertaker is an invaluable contribution to the debate about science's relationship to religion. The content of this book is excellent. 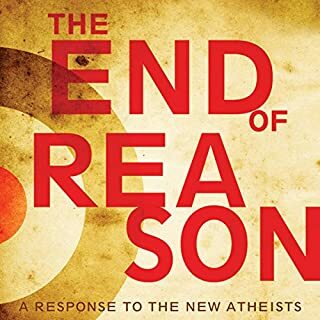 John Lennox thoroughly explores the topic in a humorous, diligent, intelligent insightful way. Unfortunately it was torturous to to listen to it being murdered by the horrible performance of "William Crocket". Leaving aside the travesty of hearing John's words in an American accent instead of his own delightful Irish brogue, the terrible pronunciation (like dropping the "g" in "something" and "nothing"), and repetitive intonation of the performance often obscured the meaning. I regularly had to quickly re-parse the sentence in my head to realise the author's actual intent, while also trying to absorb the meaning of his next attempt at mangling Dr Lennox's words. At first I thought the horrible, angsty, whiny voice of "William Crockett" was some hired actor trying way too hard to put expression into the reading, in a way that would have been funny, if it hadn't totally ruined the book. At times the droning cyclic intonation was so soporific that I nearly fell asleep at the wheel while I drove. As the performance wore on, I came to the conclusion that this was actually an AI generated voice, that was nearly good enough to pass as human - if you didn't have to put up with it for too long. Eleven and a half hours was *definitely* too long. 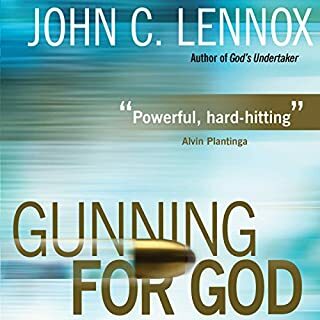 One of the give aways that Crocket is a robot, is the clipped, lower, robotic utterances of "quote" and "unquote", whenever Dr Lennox quotes someone else, which he does throughout the book. Other mis-pronunciations would never have been made by someone who grew up speaking English, even if they came across the word for the first time. 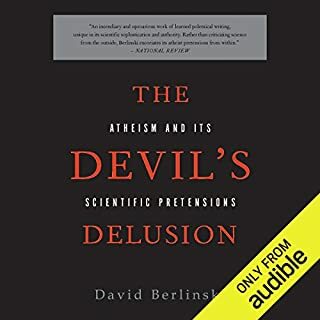 All in all one of the most frustrating Audible books I have listened to, because I loved the content, but thoroughly hated the performance. This makes it hard to decide whether I should take Audible up on their offer of "Love it or swap it free". I would have loved *reading* this book, but I hated listening to it. Where does God's Undertaker: Has Science Buried God? rank among all the audiobooks you’ve listened to so far? John Lennox is one of my favorites: preacher/teacher/defender of the Faith. This reader, however, would be much better reading in another genre. 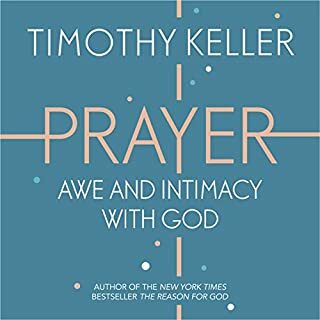 I love the audible books but this one I will read myself. I couldn't stop listening to it. The open & rational mind of Mr: Lennox is a gift to himself & to his listeners, thies or otherwise. His clear, cut to the chase explanations are understandable even to someone li myself. Great job & keep up the good work you have been entrusted with. 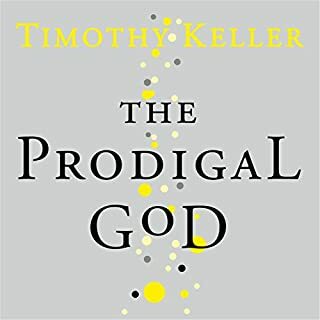 I’ve listened to dozens of audio books, and this one is easily the worst I’ve EVER heard. Sadly, it has nothing to do with the material. The substance of this book might be excellent, but the performance is so bad that you can’t process what’s being said. The performers phrasing is so broken that it’s hard to put thoughts together for comprehension. Also, the reader mispronounces so many words it’s really distracting. Sometimes the mispronunciation is so bad is changes the meaning of the sentence. 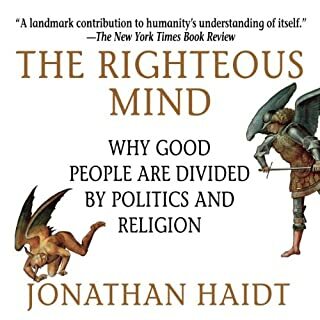 The publisher should re-record this audiobook with a different reader. 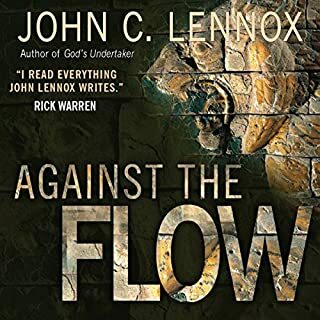 Lennox makes solid and logical arguments throughout this book albeit not as succinct as some listeners may like. At times some were difficult to follow and could have benefited from some humour. But after all Lennox is a mathematician. The only significant criticism however was the narrator. His slightly whispered tone and odd pronouncing of certain phrases had a somewhat robotic (think HAL in 2001 a Space Odyssey) feel. Which in an eleven hour book can grow tiresome. 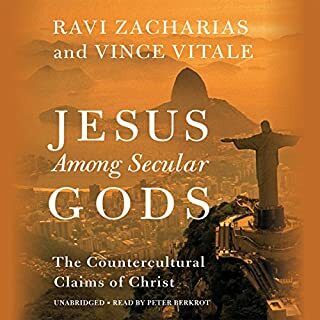 As other reviewers have noted, the mispronunciations are distracting and annoying, and really detract from an otherwise good overview of the science-faith debate. 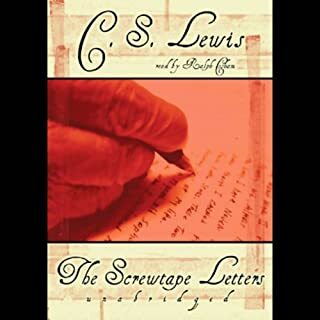 (“He puts the wrong emPHASis on the wrong sylLABeI.”) I somehow made it through to the end...but I’m looking forward to re-reading the actual book, which I’ve already ordered. 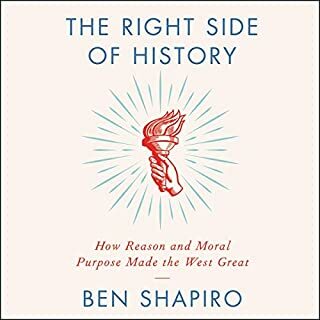 I would recommend the book, but not the audiobook. 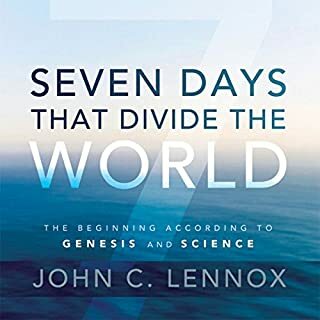 John Lennox is a great thinker and speaker. 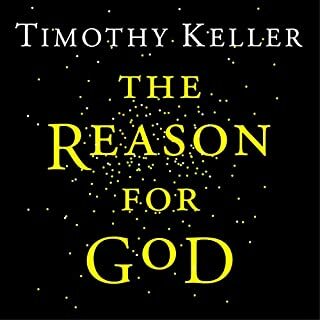 Unfortunately the narrator mispronounced so many words over, and over, that it really took away from the great arguments made in the book. I kept thinking how the information could have been so much better delivered and impactful with Mr Lennox’s own voice. Still I enjoyed the deep thinking and especially the incredibly detailed medical descriptions of the complexity in our bodies. Great Content. Not so great voice acting. 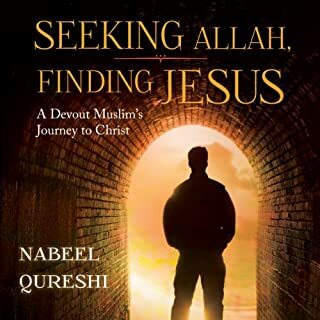 I love the content of this book. 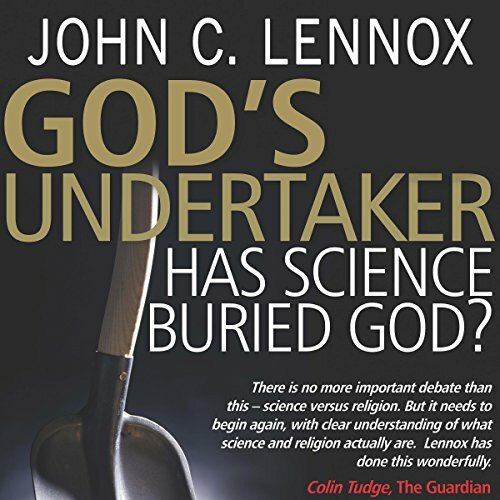 John Lennox does a great job of showing how science has not buried God. To the contrary, things like a beginning of our universe, and the fine tuning in our universe actually point towards God. The only complaint I have about this book is the voice actor, William Crockett. Mr. Crockett gives a very dull reading to this book. In addition he has an annoying habit of taking words that end with ing, and pronouncing them in. So we are constantly hearing words like writin’ seein’ understandin’ etc... If this were a novel and he was giving voice to a character In the deep southern United States, maybe this would be appropriate. But this is not a novel, it’s a book about science and philosophy. The actor is not giving voice to any characters, and thus to have words frequently pronounced in this manner seems annoying. An excellent review of the arguments from science in understandable language for the broad public. Here you have the explanations to how it all started.